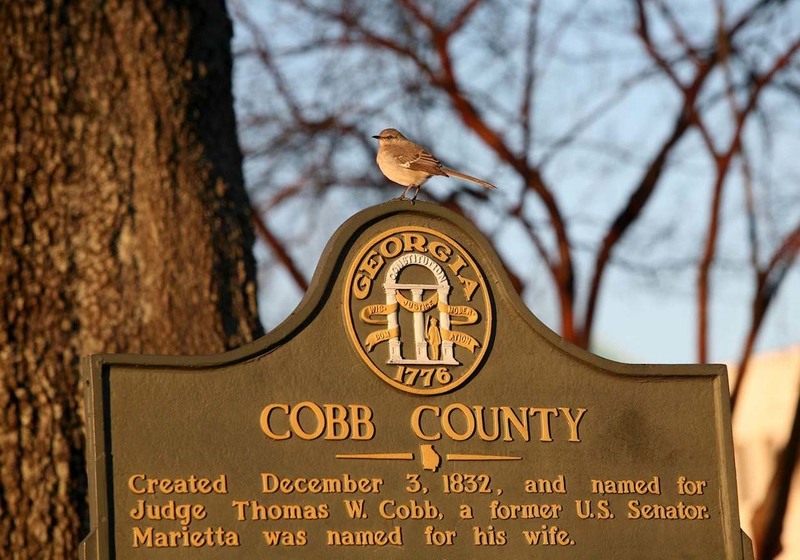 Cobb County is one of the three largest counties in Georgia located next to Fulton county which is home to Atlanta, GA. Home buyers are primarily attracted to Cobb County for their nationally acclaimed school system and lower property taxes Fulton county. Cobb County commuters to Atlanta, GA find it convenient to the major highways and interstates including I-75, I-20 and 285. Since we all know real estate is based on location, location, location, the same applies to home values in Cobb County, GA. To more clearly define the local Cobb real estate market, we need to separate Cobb County homes for sale into four categories: West Cobb homes, East Cobb homes, North Cobb homes and South Cobb homes. West Cobb Real Estate is a sought after location which is typically defined as West of I-75. The West Cobb area has been a fast growing area and many of the schools are either newly designed or remodeled and there is newly built high end shopping centers including the Avenues at West Cobb to satisfy any shopper. The homes in the area range from older more established 4 sided brick ranch homes, 80''s Traditional, to New Age Craftsman and Contemporary homes. West Cobb homes for sale are generally located in Marietta GA, Smyrna GA, Powder Springs GA, & Kennesaw GA.
East Cobb Real Estate is a highly sought after area East of I-75 with many of the #1 ranked schools in Georgia according to greatschools.org. 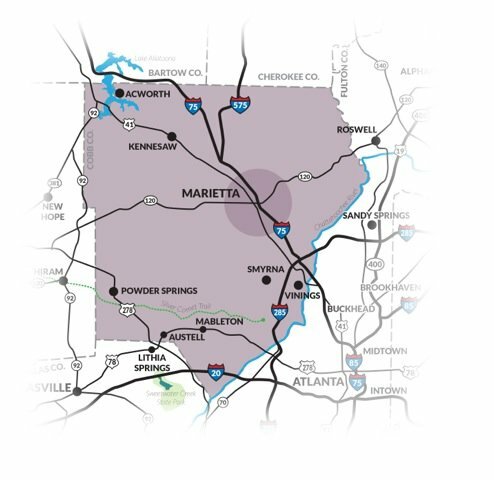 When you ask a homeowner in East Cobb where they live they typically respond simply with "East Cobb" rather than Marietta because they are proud of the distinction of living in East Cobb. East Cobb homes for sale are higher in price than the West Cobb location because of the high demand to live in East Cobb Real Estate. Homes for sale in East Cobb are mainly located in Marietta GA and in Roswell GA.
North Cobb Real Estate is defined as mostly North West of I-75 with a top rated school system and is near Allatoona Lake. Homes in North Cobb are similar in style with some of the West Cobb homes. Homes for sale in North Cobb are located in Acworth GA, Kenessaw, GA.
South Cobb Real Estate is located near I-20 & 285 which make it a very convienient location to Atlanta. Generally speaking, there is more affordable housing in South Cobb and homes for sale are located in Mableton GA and Austell Ga.
Search all Cobb County homes for sale, including Marietta GA homes, Roswell GA homes, Smyrna GA homes, Powder Springs GA homes, Acworth GA homes, Kennesaw GA homes, Mableton GA homes, and Austell Ga homes.